For In-House Training - As you train new employees, they aren't just learning their job duties. Just like your customers, they are learning your company culture through every piece of paper they sign and every person they interact with. That's the same reasoning behind developing slogans and brand symbology (colors, shapes, logos, etc.). Every interaction should re-enforce the right image and message for your business. That definitely includes branding in-house materials. A vital part of training an employee is exposing them to the right messages, so they can work toward them. For Re-Sale Purposes- If you're selling your knowledge, you probably already know that representing yourself as a brand is key to your success. But just in case you don't, think of the following scenario. Joe Bob has a not-so-impressive website. On it, he says some pretty awesome information, but it doesn't look very modern or tech-savvy. And the colors and layout change drastically from page to page. If you follow the link to his social media pages from his website and he very clearly does not use those pages to promote his knowledge. He mostly talks to his friends, posts funny pictures and plays games. Now, you see on his website that he's offering a course on a topic you're interested in learning more about. But the class is $175. Are you purchasing it? No! Why? Because Joe Bob doesn't have a brand. He hasn't given you the impression that he's a guy that's worth paying $175 dollars to learn a few things from. His online presence and reputation is about as good as your next door neighbor's with a website about his dog. Branding is KEY to running an online business. Your job is to convince total strangers that you're worth a chunk of their paycheck. Without a brand, it will be difficult making a living from your knowledge. There are several ways to maintain business branding inside of your account. 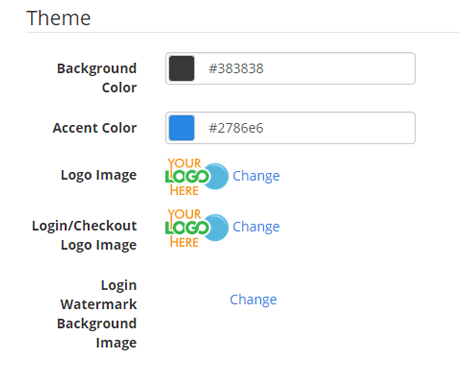 Add a business logo to appear at the top left of iLearnPro, adjust the login page image and add a custom watermark background by going to Admin Settings and editing the Theme Settings under the Account section. Branding colors are set using hex codes, or unique 6 character identifiers following a hashtag, for color variations commonly used in graphics and web design. If you do not know the hex code for your branding colors, you can use a free service such as HTML Color Codes to upload an image and select the colors for an exact match! Background Color is a layer of color behind the page content. Accent Color is used for buttons and important text. Images uploaded for your branding in iLearnPro should be one of the standard image formats such as PNG or JPEG. The measurements for each of those images are given below. Logo displays at the top left of iLearnPro after login (35 pixels tall). 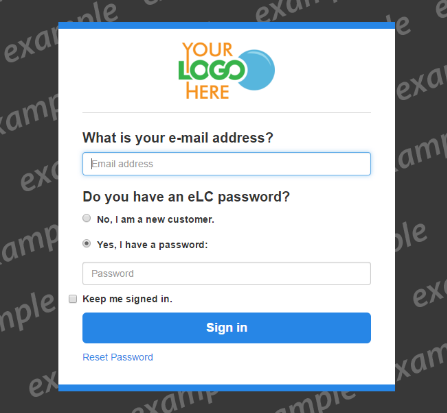 Login/Checkout Logo Image defaults to a width of 420px on display on the login page and during shopping cart checkout. Login Watermark Background Image is recommended at a resolution of 1920 x 1080 for high quality display on HD screens. A PNG with a transparent background and semi-transparent text is good for watermarking as seen in this example or you may choose to design a full graphic background. NOTE: Remember to save the changes at the bottom of the settings page.